Ctrl+Enter won’t let you down! It is quite handy and I use this trick a lot in daily work. 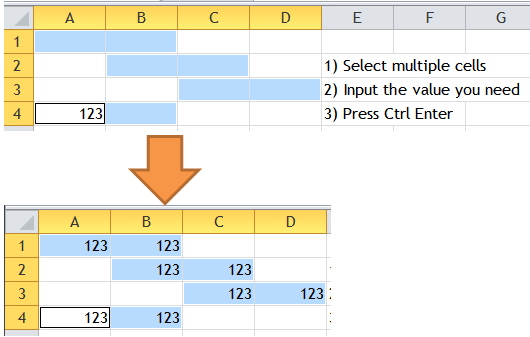 Nevertheless did you know that you may apply the same trick to stay on the active cell after you input a value? By default, pressing Enter takes you to the next cell downward. However in many cases, you would like to stay in the active cell. To do so, simply press Ctrl+Enter, not just Enter. 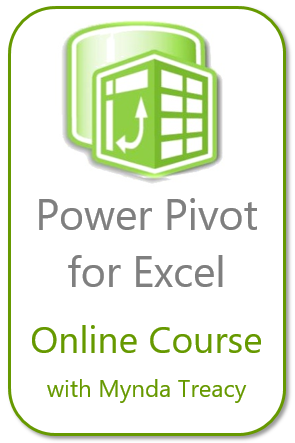 This entry was posted in Excel Tips and tagged Ctrl Enter. Bookmark the permalink. 9 Responses to Ctrl+Enter won’t let you down! In case you want to navigate in a “Z” direction, you don’t have to select the range first. Ah, yes. I suppose that use re entering formulas is quite handy. Thanks! Nice! Never new that one! Scratching my head a bit for a practical reason why you might particularly want to stay in the same cell after entering, though? Another good practical tip. Keep them coming! I did had a practical usage in the past. That was a simple spreadsheet to lookup product information by inputting product code. The thing is the spreadsheet was designed for enquiry one by one… every time a UPC was input, I had to move up again for the next input… Imagine how cumbersome it was. On the other hand, I use this trick when testing a formula. For many times, I input various contents into a cell to test my formula works for different input. I guess many people do that too !? 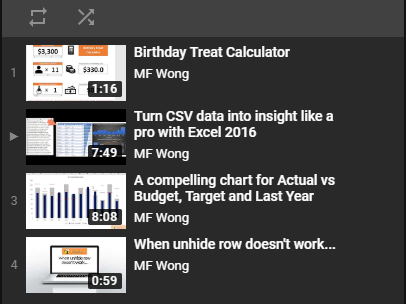 I always set Excel to stay in the same cell after hitting Enter. I can’t even tell you exactly why any more, but it’s way more efficient for me.